Track the project dynamics for any date range. Select the start date of your report in the left part of the calendar. 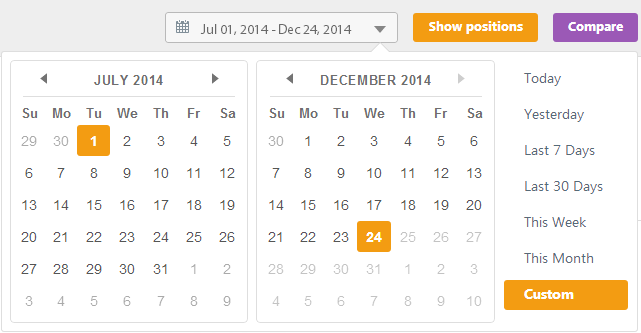 Select the end date of your report in the left part of the calendar. Show positions. Show results for the selected date range. Compare. Shows compared changes for the selected range.